The month of May is Pet Cancer Awareness Month, and it’s a great time to spread knowledge about pets and cancer, as well as a time to educate ourselves about the things we can do to prevent or treat cancer in our own pets. Cancer can be caused by a variety of environmental and genetic factors, and there are many different types of cancer that range in how aggressive and common they can be. Cancer is one of the leading causes of death in cats, and about one in five cats will develop cancer in their lifetime. Cats of any age or breed can get cancer, though some cats are more at-risk. White cats and albino cats are more likely to develop squamous cell carcinoma, a type of skin cancer. Older cats are also at high risk, as cancer accounts for about 32 percent of deaths in cats over the age of ten. Clearly, cancer is one of the greatest threats to the health and well-being of our feline companions, which is why Pet Cancer Awareness Month is so important. As responsible pet owners, we need to be aware of the ways we can fight cancer and teach others to do the same. 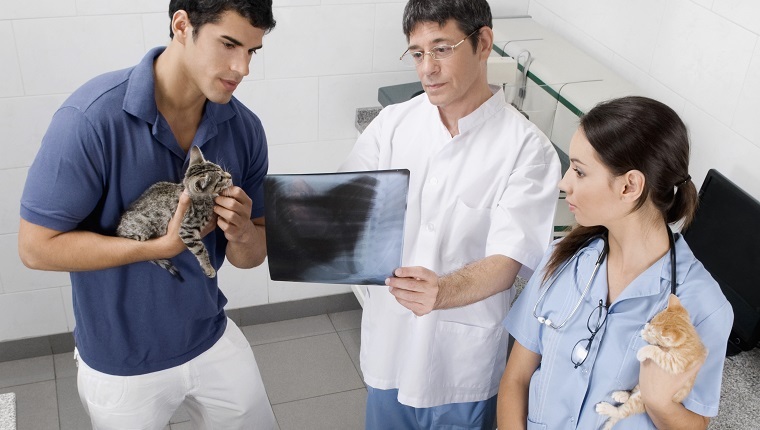 Here is what you should know during Pet Cancer Awareness Month. Many cat owners buy the same old store-bought, processed cat food every day for their cats’ entire lives. New studies and research seem to indicate that this may not be the best dietary option when it comes to our cats’ health, and there is also a link between what our cats eat and cancer. Pet food can be full of fillers and grains that can be contaminated with toxins such as aflatoxin B1 that cause cancer. Additionally, carbohydrates from grains and corn are converted into sugar in the body, which fuels cancer cells. Even good foods, like fresh vegetables and fruits, can have traces of pesticides or herbicides on them that are carcinogenic, and meat can be full of preservatives and chemicals. It is important to be mindful not only of what your cat is eating, but where the food is sourced from and how it is prepared. Cancer can refer to such a wide variety of conditions that it may be hard to pinpoint exactly what symptoms and signs to expect or look out for. These symptoms can also mimic those of other medical conditions. Even lumps are not necessarily malignant tumors to worry about, though they should always be checked out by a vet. Additionally, some forms of cancer are more common than others, and some cancers are extremely aggressive while others are able to be treated somewhat easily. A cancer diagnosis isn’t always a death sentence. Even if you do not notice any signs or symptoms of cancer in your cat, you should still maintain a schedule of regular vet visits every six months to a year. A routine check-up can sometimes detect cancer before it becomes a major problem, and early detection is very beneficial for successful treatment of cancer. This is especially important for cats because they are good at masking when something is wrong, and a vet may be able to detect cancer well before you see any outward signs. Your vet can also give you advice on environmental factors to avoid that can contribute to cancer development. 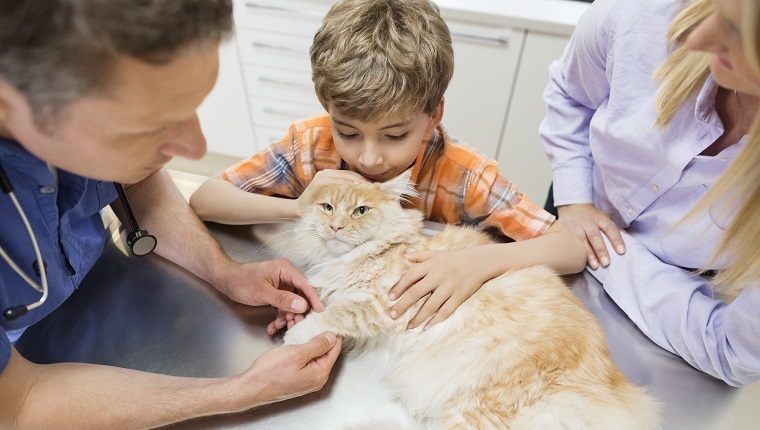 As you learn about cancer during Pet Cancer Awareness Month and apply your knowledge to your pet parenting habits, you should also spread that awareness to other cat owners. That is, after all, the reason for Pet Cancer Awareness Month to exist in the first place. Sharing your resources on Facebook and social media can be a helpful way to encourage other pet parents to take an interest in the subject of feline cancer, which is one of the top three leading causes of death in cats. 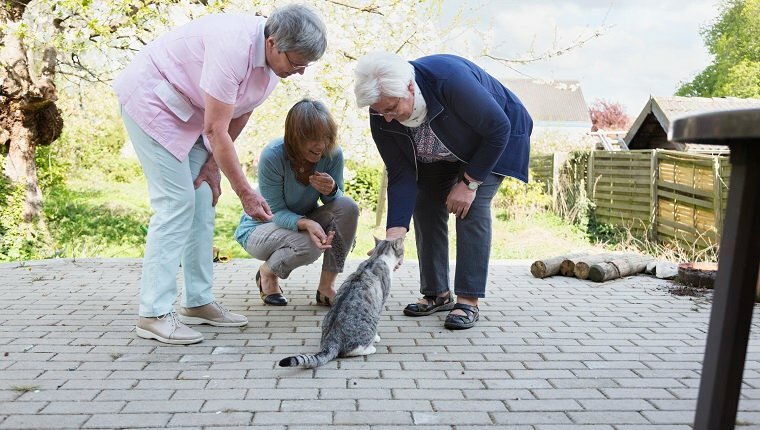 Talk to your friends and family who love cats and discuss the topic of feline cancer with them, as uncomfortable as it may be. Spreading awareness may end up saving a life, so spend some time during the month of May to participate in Pet Cancer Awareness Month. Cats everywhere will benefit when you do. Are you going to spread awareness during Pet Cancer Awareness Month? What steps do you take to fight feline cancer? Let us know in the comments below!